How much does it cost and how do I get started? It's simple to get started. First, visit our Pricing page (each test completed uses one test credit) and then select the green "Order Now" button for your desired package. Then complete the order form. If you are a current client, please add your Account ID or Admin email into the box provided on the form. You'll receive instructions shortly after the order is submitted, if ordering during business hours (for current clients, credits are added to testing account). You'll then be able to sign into your account dashboard to start the test sessions (or email sessions to applicants). It's easy peasy! Government entities and other organizations may be eligible to be invoiced, rather than pay by credit card. Please ask! How do I know which tests to administer to applicants? Most customers administer 2-3 tests per applicant. You should chose the tests based on the key factors for someone to succeed in the job. To see which tests will fit best for your jobs, just ask us, via phone or email! Or you can visit the Test List page and sort by the filters at the top of that page, based on the job function or topic. We recommend that you sample the desired tests to ensure that each is a relevant test for your job position. Our friendly team can also help you with suggestions and the O*NET database is a great source for desired skills and tests, based on the job description. What does the test taker (the job applicant or employee) need? The test taker will usually only need an up to date web browser (Chrome, Firefox, Edge, or Safari) and an internet connection. Some multiple choice tests (non-simulation) can be taken on a mobile device (smartphone, iPad). Please ask if you have questions. The test taker will not receive the scores unless you share them. Why should I use EmployTest instead of doing this in-house or using a different company? Our tests will consistently and accurately measure each applicant's skills and abilities in the chosen topics. 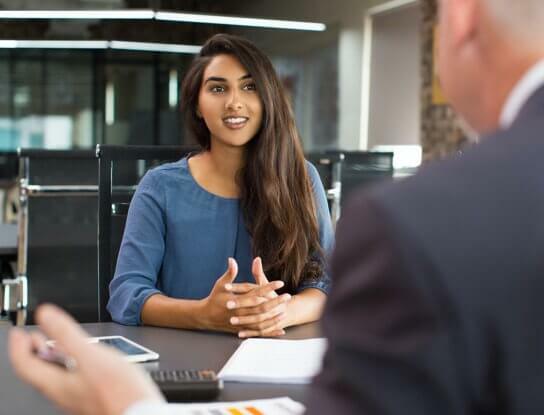 Interviews and references alone can be unreliable and open to different interpretation by your co-workers on the hiring team. Everyone may have a different opinion on which candidate is the best and the tests will provide the definitive answer. More importantly, however, using tests that follow US Department of Labor's Uniform Guidelines on Employee Selection, in addition to EEOC guidelines, is the most responsible and fair way to quickly and accurately assess job applicants' abilities. No other company has the extensive lists of tests/profiles to help with your hiring or training process. The "return on investment" (ROI) is simple, if compared with an expensive hiring mistake. You'll have a dedicated US-based account manager (not a call center) who will answer your questions and our flexible pricing options allow you to start with a modest investment, instead of the thousands required by other assessment vendors. Finally, our tests are guaranteed to accurately to provide accurate results for the skill/knowledge being tested. No other company guarantees their tests like we do. How are the tests developed? How can I know these tests are accurate? We partner with the top test developers/publishers around the world to bring you the most extensive library of tests available. Every test or assessment question (item) has been developed by a Ph.D. or M.A. level industrial organizational psychologist. These researchers work extensively with subject matter experts in each topic to develop the questions and possible answers. Each test undergoes a thorough validation process to ensure that it accurately and consistently measures the desired skill or competency, which can include being administered to populations to make sure the results are consistent with manager reviews (that the test accurately predicts skill or lack thereof). Each test is then periodically reviewed to make sure it still accurately measures the desired skill. How do I email a test session to a job applicant? For customers using computer skills or clerical tests, you will click "Email Test Invitations" in upper right corner of Admin Dashboard. If using the Legacy Dashboard, click Administer Tests, Manage Etickets, Create Eticket, and follow the process. However, the exact answer will vary depending on your test platform so consult your instructions if the above doesn't apply or ask our friendly team if you have questions. How do I get the test results? How fast do the results arrive? The test results are emailed immediately to the test administrator as soon as each test is completed, day, night or weekend. Results can sometimes land in spam/junk folders to check there too if not received. You can also view them using the Search for Scores tool on your account dashboard. Summary reports of scores from all candidates are also available as a downloadable report from your account dashboard. The job candidate does not see the score. I'm an individual, not a company. Can I sample or purchase these tests for my own use to practice? We sell our tests only to organizations and companies who are hiring applicants, not to individual users looking to test their own skills. Due to test security, we do not sell (or provide samples) to individuals and we take multiple steps to verify the legitimacy of each sample request and purchase. I'm a current customer and I just ordered again. What happens next? If you ordered using the "Order Tokens" button on your dashboard, your credits will be added immediately. Otherwise, your credits/tokens will be added to your current testing account within the next few minutes (during US EST business hours). If after hours/overnight, it may take longer. If you are currently signed into that account, you may need to refresh your screen. I just ordered and I'm a new customer. What happens next? If ordering during US business hours, you'll soon receive a Welcome email with instructions and a password token (even after hours, it may still arrive shortly). We have to verify the legitimacy of the company/organization, so the access information is not sent immediately and may take up to 30 minutes. After hours orders may be held until the following business day. "Tests are excellent predictors of job success."